Fun Auto Purchase Ideas…What is a bug worth? Last July we told you about a new way we’re engaging with members over our shared love of cars: a resource we call the Hagerty Make/Model Price Guide. Our newest guide is all about the VW Beetle. At a time when cars were being built for power and pride, the Beetle made a huge statement by being small and driving slow. And that’s where the fun began. Our value guides were made using the Hagerty Valuation Tools®. It’s easy for you and members to use these tools to help when quoting Nationwide/Hagerty insurance and to keep track of how values change over time. Use it to engage and retain classic-owning members. 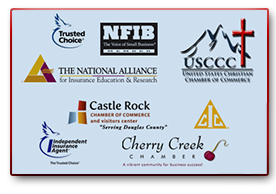 Ready to discuss auto insurance options for you or your business? Contact our team today at our Denver office at 303-388-7216 or our Castle Rock office at 303-688-1251. You can also send us a message any time and we’ll get back to you as soon as possible.